It is hard to believe ten years have passed since the end of my two-year, part-time Ministerial Internship with this historic, teaching congregation (2006 – 2008). It is even more profound to consider that June 7, 2019, will mark a decade since I was Ordained by you all. I am humbled to have been invited to share in the 150th Anniversary Celebration of the congregation. Our February 17, 2019 worship service, I pray, will offer opportunities for praise singing, reflections on the many gifts and challenges this congregation gave me during and since my Internship and Ordination, and explore ways we, as Unitarian Universalists, might prepare for the near future where justice, mercy and compassion reign, especially now. Joyful Noise will open worship and special music will be offered by tenor Jonathon Hampton. This is a Time for All Ages Sunday. Rev. Chris Long currently lives in Lakewood, OH, which is located about 12 miles from downtown Cleveland, OH. 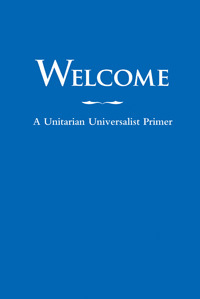 He services West Shore Unitarian Universalist Church (Rocky River, OH as their Justice Minister). West Shore is a congregation of 560 members. He also has the deep honor of being the Visiting Assistant Professor for the Practice of Ministry at Starr King School for the Ministry (Berkeley, CA). Additionally, he is currently on the Unitarian Universalists Ministers Association’s Committee for Anti-Racist, Anti-Oppressive, Multiculturalism (CARAOM). From August of 2006 through the late June of 2008, Rev. Chris served First Unitarian Church of Oakland as the Intern Minister. Additionally, he was Ordained by this congregation on Sunday, June 7, 2009.